Water – buy it by the gallon and 5 gallon jugs! Canned food; stews, tuna, chicken, etc – stock up on items that require minimal heat and effort. Dry goods; pasta and rice – both require water, pasta uses less heat & cooking time. Jars of pasta sauce, plus canned mushrooms, tomatoes, and other vegetables to add for variety. Nut butter – the individual squeeze packs are a perfect boost of protein and do not require refrigeration. Coffee – we keep a supply of instant, ground, and whole bean coffee. Fuel and fuel stabilizer – Stock up on fuel for your car, generators, and powered devices like chainsaws. Fill your vehicle fuel tank prior to the storm and ensure that you have at least 5 gallons of gas extra. Unleaded gas (petrol) can only be stored up to 3 months, then it will start to go “stale” and could ruin your equipment. Add fuel stabilizer to extend the shelf life of your fuel up to 12 months. 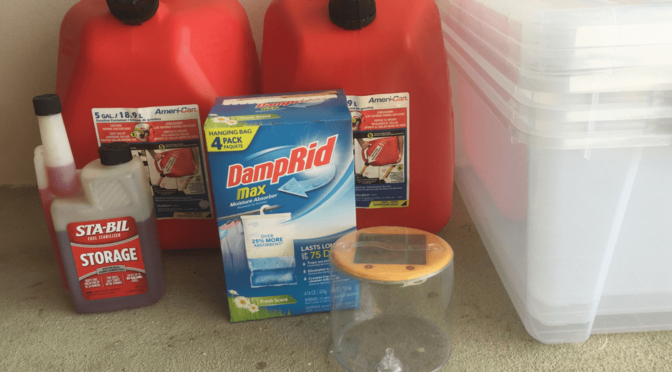 Fuel transfer pump and funnel can be used to move fuel quickly. During an emergency, you may have access to fuel but be unable to retrieve it without a pump. Bleach – add 2-3 drops per gallon of water for basic disinfectant of rainwater that can be used to flush the toilets, showers, and cleaning. Distilled white vinegar is natural cleaner for moldy or humid surfaces, especially in the kitchen. Large latching tub containers will keep valuables safe and dry, be sure to throw in a desiccant dry pack to absorb any extra moisture in the bin and reduce the chance of items getting ruined by mold and humidity. First Aid kit with plenty of bandages for wound care, antiseptic, and antibiotic cream (Neosporin). Solar Lights – I tested and tried many solar lights over the last year. Luci lights are the best! They have the most efficient solar panel, the brightest LEDs, and they pack a powerful punch for such a little device. Light up an entire room with one of these amazing inflatable solar lights. Pre-moistened cleaning cloths like baby wipes and face cleansing towels. Extra mosquito repellant – the mozzies are even worse during hurricane season! Clothesline and clothespins – After Hurricane Maria hit Puerto Rico, clothespins were as valuable as cigarettes in jail! Power surge protectors and power strips to protect your electronics during power fluctuations from the storm. Extension Cords rated for outdoor use are handy when sharing power with neighbors. Cell phone USB portable charger. Anker power bank USB chargers provided a mobile alternate for charging cell phones and other critical USB devices. Camp stove & fuel- we cooked off our butane stove every day for four months. Remember to stock up on the butane canisters! Start with enough cash to cover at least one month worth of regular household expenses. Calculate how much money you would need for regular living expenses, plus medical emergency, plus the cost to restock your entire food supply, then add the cost of buying fuel for an entire month as a minimum amount. Keep a mix of denominations including plenty of small bills such as $1, $5, and $10 notes as part of your cash supply. Gas powered chainsaws become a hot commodity when trees are blocking the roads. For remote areas, chainsaws may be the only option to clear fallen trees from homes, vehicles, and roads. Do not wait for rescue, be able to clear your own escape path. In the event of a blown window or door breach, water will come pouring into your home. Tarps and mattress covers can be used to protect your bed and provide basic relief for sleeping in a dry (or at least less wet) environment. UHF long-range radio walkie-talkies (pair) are the best communication option when landline and mobile phones are no longer functioning. These radios allowed us to coordinate with neighbors and share resources, without having to walk or drive for communication. When fuel and resources are limited, and phones are useless, these radios saved the day and provided relief in a dangerous and stressful situation. Run a weekly check on entire house generators. Portable generators should be run at least every other month. Keep a hard copy of the manufacturer’s user manual and know how to use your generator before you need to run it for days, weeks, or months at a time. 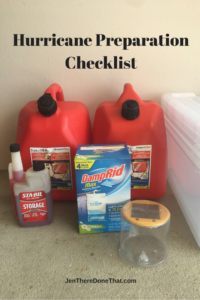 Be sure to stock extra fuel, fuel filters, and oil for the generator(s) to last several months for a worst-case scenario. 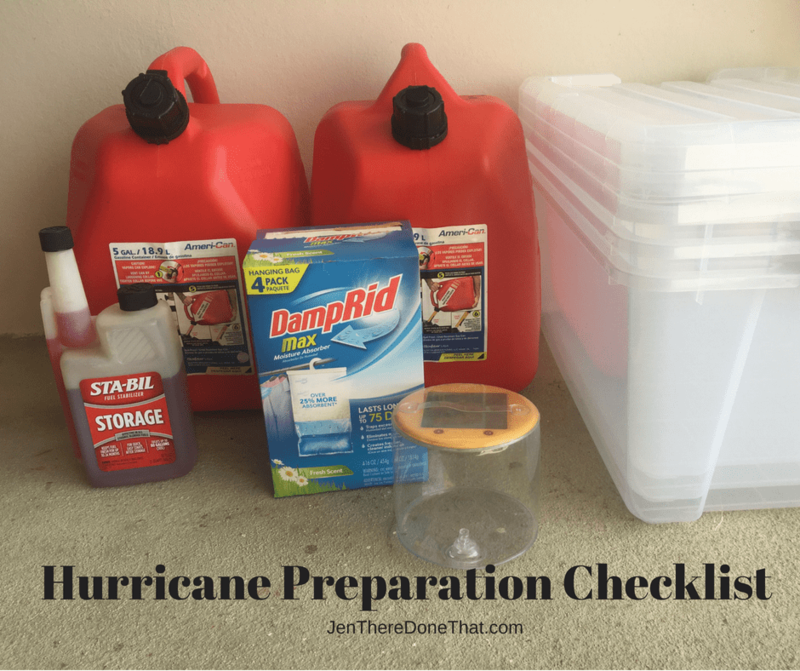 Perform an oil change before hurricane season and verify the generator is in working condition before you need it. Stock extra pet food, treats, and vitamins for your pets. Have a leash and collar with tags for each dog. Make sure your contact information is current and visible on the tags, just in case you are separated from your dog or cat. Have a pet carrier for every small dog or cat in your house. If your pet is small enough to fly, ensure that you have an aircraft approved carrier and keep a copy of health records with the pet travel carrier in case you need to evacuate with your pet. For medium and large dog owners, call around early to find out which shelters will allow dogs. What size do they allow? Coordinate with neighbors with dogs that your dog(s) get along with for more options in case of evacuation or staying in groups if your home becomes unlivable. Stock extra kitty litter in case your cat needs to remain inside for extended periods. The litter can also be used to soak up extra humidity in windowless rooms so provent mold and mildew. Many places will not allow beer or alcohol sales during a declared emergency, so stock up your supplies! Beer and wine are also great for barter and tension relief. Stock board games, magazines, a deck of cards, books, and other low-tech easy entertainment during power outages and communication blackouts. Crayons and coloring books are a great stress reliever for kids and adults. A friend of mine coordinated a book swap. It was a great way to catch up and socialize with friends, and to obtain much-needed reading material. Some of these books were passed around enough for a proper book club style discussion, and everyone was grateful for the fresh entertainment. Phone service can and will go out. Text messages and WhatsApp are other communication options to try when calls fail. Designate a central person off island that is willing and able to send updates to family and friends. My Sister is my contact person. I told her my plans ahead of time. When telecom completely failed, there was an extended period of zero communication. When minimal cell service was restored, the signal was too weak for anything other than text messages. My Sister posted updates on Facebook and called our Mom, since I could not. On the rare occasions that a phone call would go through, she was my first (and often only) call. For critical items, like the internet, we now have two options. In addition to our regular fiber-optic cable internet, we also have added high-speed satellite internet. Routers are on backup batteries to ensure zero outage when the power goes down. Overall, have a plan and discuss scenarios for children, pets, evacuation, and riding it out. Keep off-island family and loved ones updated on your plans. If your community issues evacuation orders, follow the plan and get your family to safety. Did I miss anything? Leave a comment below with suggestions to improve this list, questions, or other scenarios to consider. Jen, thanks so much for the post.Really thank you! Keep writing. Great list! I would add having something to do. Magazines, books, deck of cards, board games. Good catch! A friend of mine held a book swap and it was a very popular event! Adding a section for Entertainment.